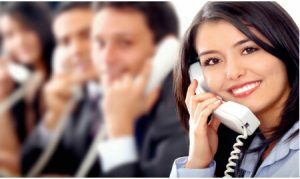 Nationwide Telemarketing is a company specializing in business-to-business appointment setting, customer surveys, lead generation, email marketing, and periodical renewals. The company was struggling to compete with larger companies and grow the business. It didn’t have the ability to track and monitor calls, or manage day-to-day operations with just a land line and an Excel spreadsheet. Call time was wasted, with calls often delayed because of slow manual speeds and misdialed numbers. Reports were difficult and time consuming. Nationwide would spend an hour double checking report numbers for accuracy. In addition, Nationwide could not monitor calls for training or record them for client review. Clients often wanted proof that calls were made and to review them for quality control. Nationwide had no way to comply with client requests or satisfy their needs. The lack of call history proof left the company vulnerable to lawsuits. After implementing VanillaSoft, Nationwide Telemarketing won larger client accounts and increased new employee hiring by 70%. Clients were happy because they could review a record of the calls, creating greater client satisfaction. In addition, the recordings helped the company prove its case in a lawsuit..
Nationwide also increased call productivity and efficiency. Preview dialing automatically dials the next-best lead with one click, enabling agents to quickly make more calls with fewer mistakes. Agents can review contact information before initiating the call, making them better prepared to make the sale. Training has improved with call monitoring, and managing daily operations is more efficient. VanillaSoft enables managers to run reports in minutes instead of an hour, and there’s no need to double check the numbers. VanillaSoft’s automated reports ensure that the numbers are correct. Customized scripts also allow agents to use specific scripts for different situations, ensuring that the correct message is conveyed to the prospect every time. 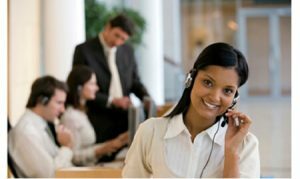 Nationwide Telemarketing operates a virtual work environment using remote employees.